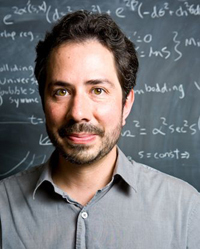 Anthony Aguirre, Professor of Physics at UC Santa Cruz, studies the formation, nature, and evolution of the universe. He is co-founder and associate scientific director of the Foundational Questions Institute, which supports research on the frontiers of physics and cosmology. 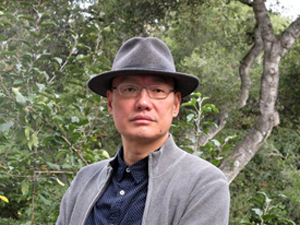 Minghui Hu, Associate Professor of History at UC Santa Cruz, focuses on the intellectual history of early modern China. His monograph “China’s Transition to Modernity: The Classical Vision of Dai Zhen” will be published later this year. Hu organized an international conference, “Cosmopolitanism in China,” at UCSC in 2012. 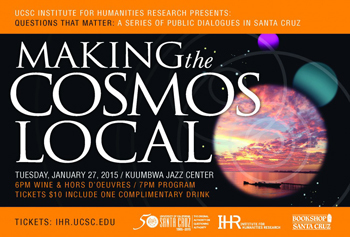 The UC Santa Cruz Institute for Humanities Research (IHR) will present Making the Cosmos Local—the first event in a new series of public dialogues titled Questions That Matter—on Tuesday, January 27, at Kuumbwa Jazz Center. The evening will feature a conversation with UC Santa Cruz professors Minghui Hu (History) and Anthony Aguirre (Physics), moderated by IHR director Nathaniel Deutsch. “But we don’t want to just tell it to the public. We want to share it with them in the form of a public interaction with the community,” he added. Another important element of the series is to bring thinkers from different fields, revealing that scholars in different areas of study at the university are working on the same problems and questions, often from very different perspectives. Associate IHR director Irena Polic added that one of the goals of the Institute for Humanities Research is to partner with local Santa Cruz institutions such as Bookshop Santa Cruz, Kuumbwa Jazz Center, and the public libraries to highlight that these are all big cultural institutions in the city. “Making the Cosmos Local” takes place on Tuesday, January 27, at Kuumbwa Jazz Center in Santa Cruz. Doors open at 6 p.m. for Wine & Hors d' oeuvres. The program begins at 7 p.m. Tickets are $10, including one complimentary drink, available at santacruztickets.com. For more information, call (831) 459-5655 or email ihr@ucsc.edu. This event is co-sponsored by Bookshop Santa Cruz.